At Period Corsets our custom fitting service sets us apart from other online corset companies. Nothing feels better than a custom-fit corset created just for you. 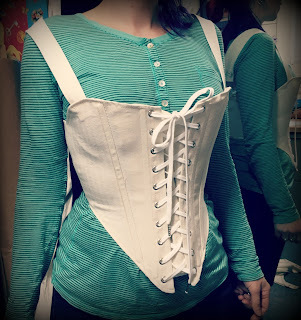 Period Corsets has always focused on building the most durable, high quality corsets you can find. What many people do not realize is just how comfortable a properly-fitting corset can be. We know how important it is to our clients achieve the historically accurate, period-correct shaping that they require for theatre, cosplay, historical re-enactment or bridal. We also appreciate their need for comfort, whether it be for all day wear on stage for multiple nights, or out on the town. The key to that unparalleled comfort is in our unique fitting process. All of our styles are available ready to wear, with alteration options as needed. In addition to the alteration features, we offer our clients our custom fitting service. By starting with a fitting corset, you can try out the styles of your choice to find the best match for your body type. Using 360 degree photos and your supplied measurements, we are able to determine the specific custom changes needed to provide you with the perfect fit. 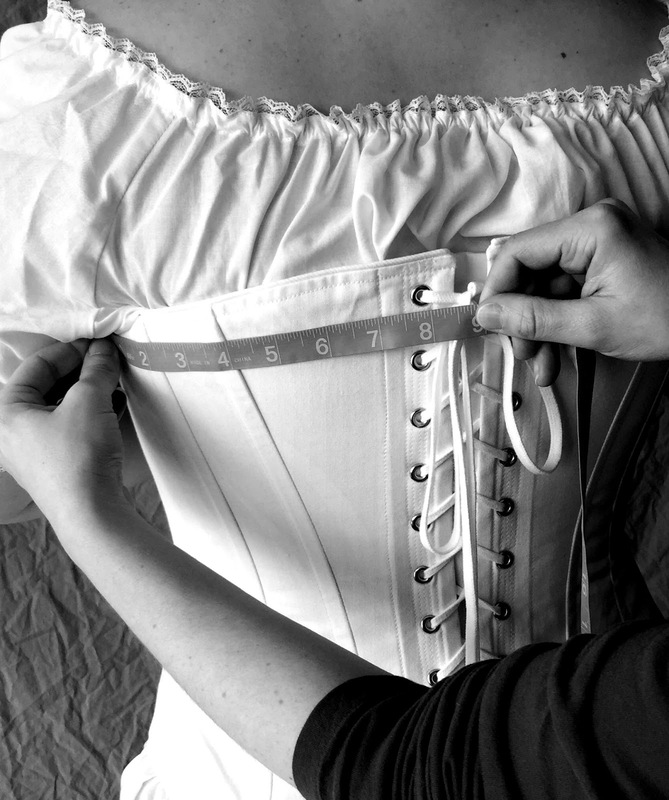 After your online and phone consultation, you will then exchange your fitting corset for your new custom fitted corset made in the fabric of your choice. By providing this service we are able to supply the same hands-on experience of an in-house fitting to our long-distance clients. Order your desired corset style in our Natural colored coutil, in the size that is closest to your measurements. 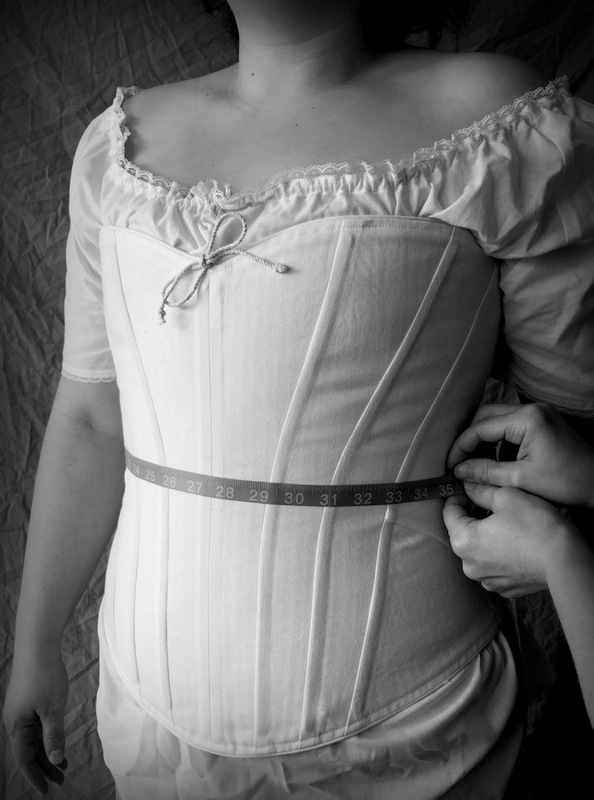 Fitting corsets can be purchased through our website or on our Etsy site. Along with your order, include your measurements for bust, waist, hip and center back nape to waist. Try on your corset. Depending on the style, or if this is your first time in a corset, you may need assistance from a willing participant. That's part of the fun! For comfort and modesty, you can wear a tank top or t-shirt underneath your corset. Do not wear a bra.You'll want a top in a contrasting color that is form fitting but not constricting (meaning no sports bras ladies!). For bottoms, we recommend a pair of leggings or tights, something form fitting that will provide a good backdrop. We need to be able to clearly see the way your corset is fitting your body. Have a friend help you take 360 degree photos showing the front, side front, side, side back and back. These should be straight forward, top to bottom shots. No need for close-ups unless there is a particular problem area. 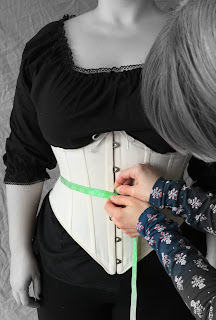 Along with a clear photo of the back gap, where your corset is laced, we will have you fill out a form with specific measurements of that gap spacing. Using these measurements, and your photos, we are able to determine the exact changes you will need for your perfect fit. We have various ways to communicate. The best and most efficient way is through Skype, as we can clearly see you in your corset and ask questions in real time. If that's not an option, email us your photos and we'll give you a call. 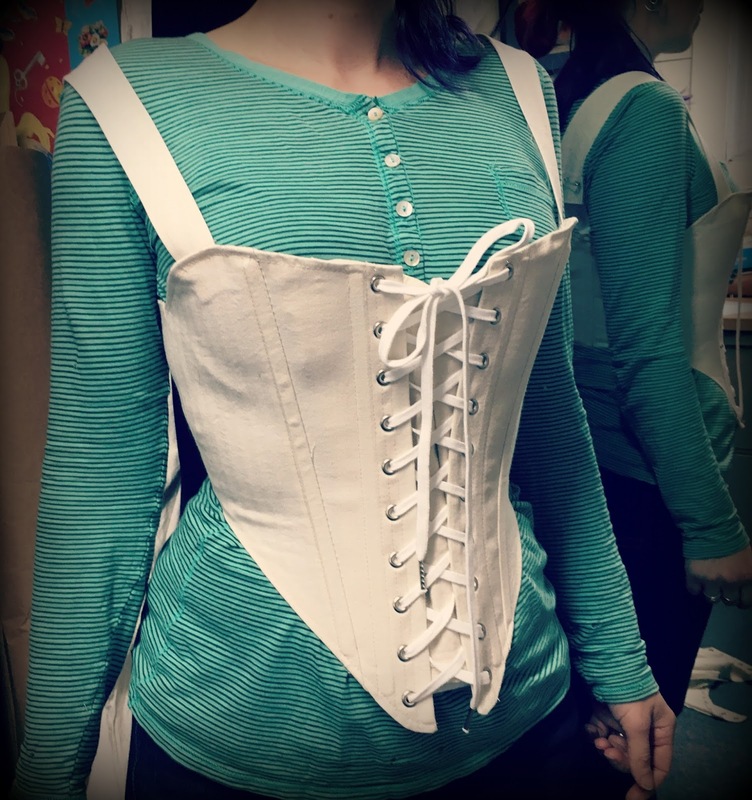 Once we receive your returned fitting corset we go to work building your custom corset. Since this will be your final one, you get the fun of choosing your final fabrics. These could be something basic like our 4 colors of cotton coutil, something elegant like our satins or brocades or something truly unique made from your fabric. Open your box, put on corset, enjoy, repeat. 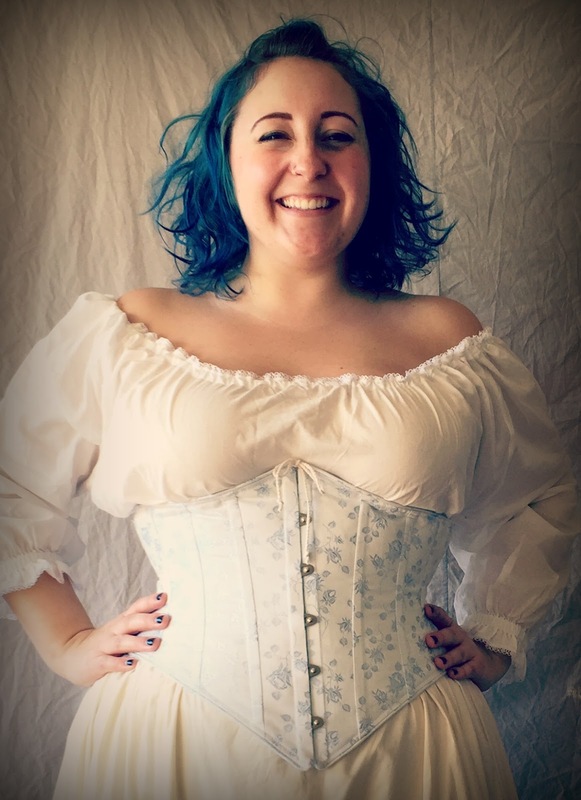 Period Corsets has been providing clients from all backgrounds with the highest quality and most comfortably fit corsets on the market. There are countless corsets out there, but only one you can depend on to have the best fit and quality that will last.